When you buy a home it is important that you work with someone who represents you. Too often people think to contact the listing agent of a property or enter a show home with an expectation that they will be treated like a client. Most people do not realize that in such circumstances they are not clients, they are customers. And they are engaging the very people who have been hired by the owner of the property to do everything possible to part them from their money. There is simply no rational basis for going it alone. You need someone in your corner who offers honest advice about value, about the pros and cons of a specific purchase, about resale, and who will negotiate on your behalf. 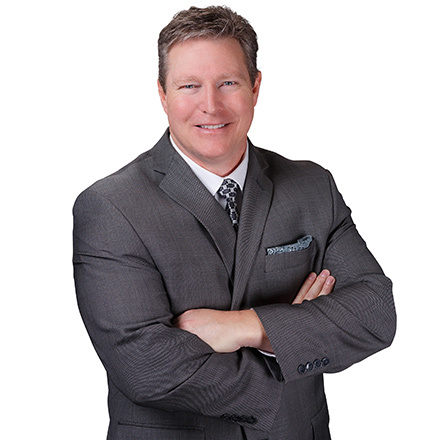 I have been successfully representing buyers in Calgary and its peripheral communities for more than two decades, both on resale and new construction properties through builders. I can help you process the market so that you make the wisest investment possible. I can also connect you with other skilled professionals – like lawyers, mortgage specialists, home inspection companies and other trades people – who can provide you with valuable support to ensure that your purchase is all you hoped it would be. I have worked in the luxury home and country residential estate market since the inception of my practice and can help provide you with valuable insight into this unique and often unpredictable segment of the market. Of all of the market segments that exist, in fact, this one can be the most difficult to parse. It is also the one that has the potential to engender the greatest losses when markets turn negative, so making intelligent, well-reasoned decisions when buying luxury real estate is imperative. If you are in the market for a luxury home or a country residential estate I encourage you to give me a call to discuss your goals and objectives. I will help simplify the process, maximize your time and, above all, help you make the wisest investment possible. If you are thinking of buying a home you will be please to know that the Calgary and area market typically affords an abundance of choices. These can include residential detached homes, various kinds of condominiums and strata properties, town homes, duplexes and semi-attached dwellings, revenue properties, mobile homes and, if you are thinking of building, raw land or residential lots. The variety of choices available can be very exciting, but it can also be confusing. I have extensive experience in all of these market segments and can help you navigate the intricacies inherent to each. I will help simplify the buying process for you and make shopping for a home fun, easy and exciting, as it should be. You will never feel any pressure to buy anything because, as a client, your interests are my top priority. What is important is that you have the resources and information available to make a wise investment. This is what I provide. So feel free to contact me and I will help craft a strategy for you that secures the home you need in the time you need it. If you are looking to purchase a foreclosure property or judicial sale I encourage you to speak with me. I have been representing major banks and serving as an officer of the Court of Queen’s Bench in foreclosure actions for more than a decade, and I bring extensive experience in the sale and marketing of these kinds of properties to bear for you as a buyer. Contrary to what most people may believe, foreclosures and judicial sales are not the same. Each can require different protocols and different documents and schedules that will form part of any purchase agreement. Both come with their unique risks. It is important that you know what they are. I can help you not only to understand them, but how to navigate them and use them to your advantage. Buying a foreclosure or judicial sale can be wise, but it can also be daunting. Call me today for an insightful discussion about the risks and rewards inherent to this intriguing aspect of the real estate marketplace.